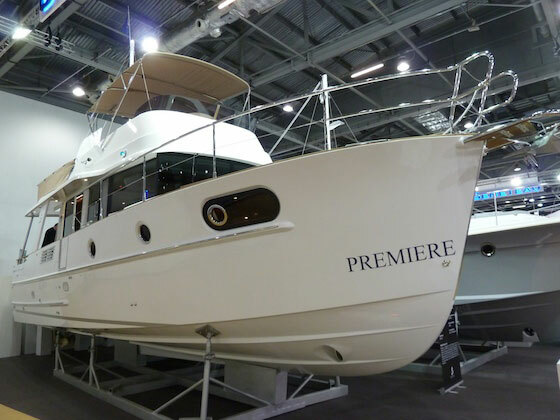 The new Beneteau Swift Trawler 30 is a smaller trawler, one that’s ideal for the cruising couple. 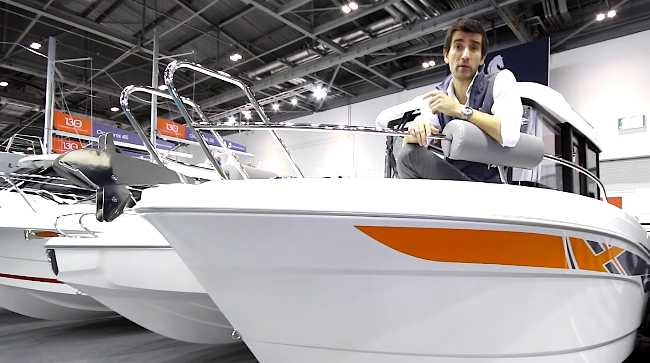 Sailors and powerboaters alike will find plenty to like about Beneteau’s new pocket cruiser, the Swift Trawler 30, which we first showed you in our Beneteau Swift Trawler 30: First Look Video. 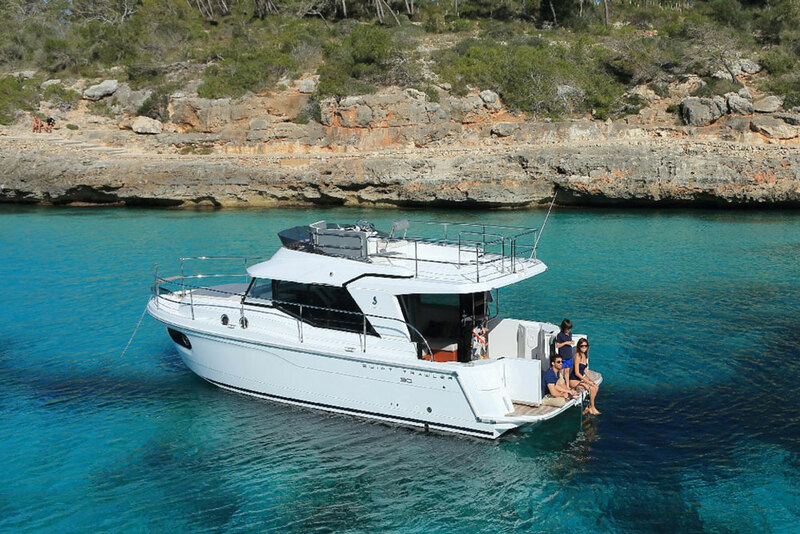 For couples looking to hop down the coast and get the most from a compact platform, the new 30 may fit their slip as well as their budget. So let’s take a closer look at this model. 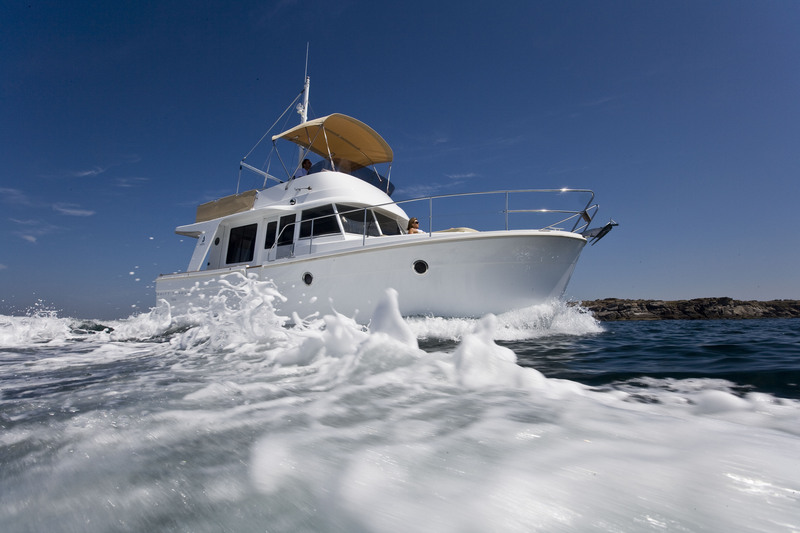 Cruisers looking for a small but competent trawler will be interested in the Swift Trawler 30. Smaller boats can’t afford to waste space so they challenge designers to step up their ingenuity. Beneteau dialed in a few details that make this boat better, including borrowing a few features from sailboats and motoryachts. For example, the aft transom opens at the middle, with two “doors” that swing out and over the swim platform. Open transoms are common on sailboats but not on cruising powerboats. Not only does this provide a clear path from the saloon directly to the water, it also makes the cockpit feel longer. Two seats are built into the transom and they fold down to create seats that virtually disappear when not in use. That’s a great way to save room. Another space-saver is the optional telescoping Besenzoni dinghy davits that are integrated into the transom corners. They’re hidden away until needed, when they hinge up and over the swim platform to carry the tender. And let’s not forget about the flybridge ladder in the starboard corner. A neat hinge keeps it tucked up against the three-panel glass door until you’re ready to go up. Then just loosen the screw and angle the ladder aft into the cockpit for an easier ascension angle. Smart uses of space, like the opening transom with folding seats, make the most of this boat’s 32’9” LOA. A yacht-like feature is the hinging hull door on the starboard side. You can board from a side dock or hop off to tie up. The starboard side deck is wider because the deckhouse is offset to port, making the boat asymmetrical. You can still use the portside deck to tie on fenders and lines, but to traverse to the sunpad and electric windlass on the bow, the starboard side will be the choice. Another feature of bigger yachts is the comprehensive flybridge with its helm station and L-shaped settee. A small round table topped by cup holders sits between the helm and the guest seats, and the optional radar mast provides a good handhold if things get rough. The upper helm has a 16” Raymarine eSeries HybridTouch multifunction display (MFD), bow and stern thruster controls, and the kind of steering wheel found on European canal boats. 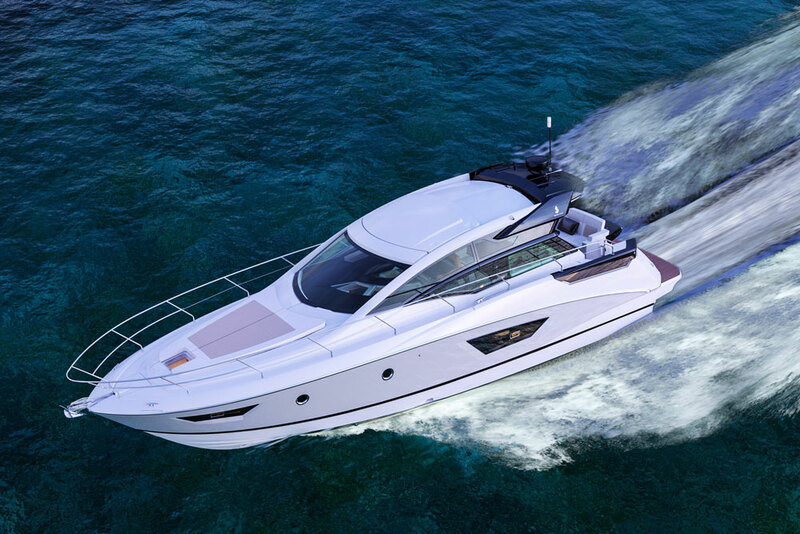 That’s no accident since Beneteau expects this model to be popular with river cruisers. 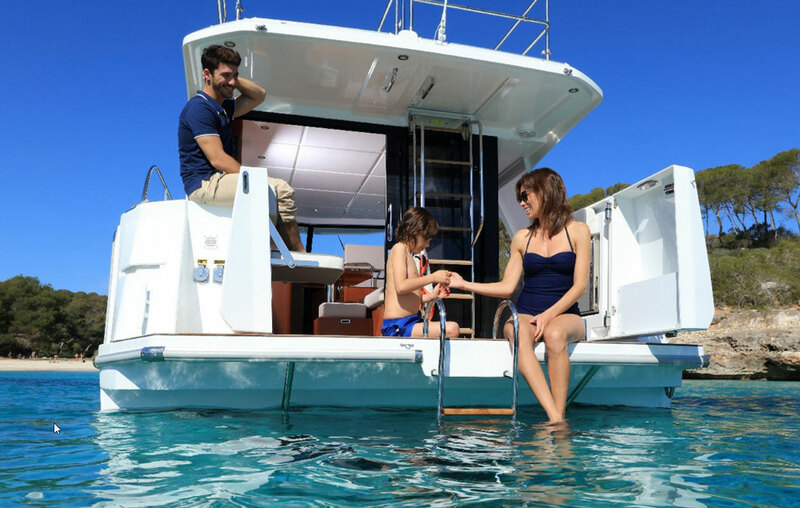 The aft end of the flybridge is too small to carry a tender and with the integrated davits below, there’s really no need for a hoist up here. Instead, you can mount a life raft or carry a dock-box for extra stowage on the port side. Entry into the cabin is via a glass sliding door in the cockpit. Immediately to starboard there’s a settee that converts to a large double berth. This will be the guest’s quarters since the Swift Trawler 30 is a one-stateroom, one-head boat. A curtain on a track runs the perimeter of the saloon, galley, and helm, provides privacy in the evening. Three soft-close drawers below the settee are for stowage. The settee is fronted by a table that’s secured to the sole with a bolt. With the bolt removed, two can easily carry the table to the cockpit to eat dinner outside at those handy folding transom seats. Two wooden, cushion-topped portable ottomans also make great seats and you can stow stuff inside as well. Across from the settee is the straight-line galley and near the forward bulkhead is a two-burner stove. Our test boat had an electric stove and a separate microwave/convection oven, but the standard is propane. With gas, you won’t need to fire up the (optional) genset to make coffee. 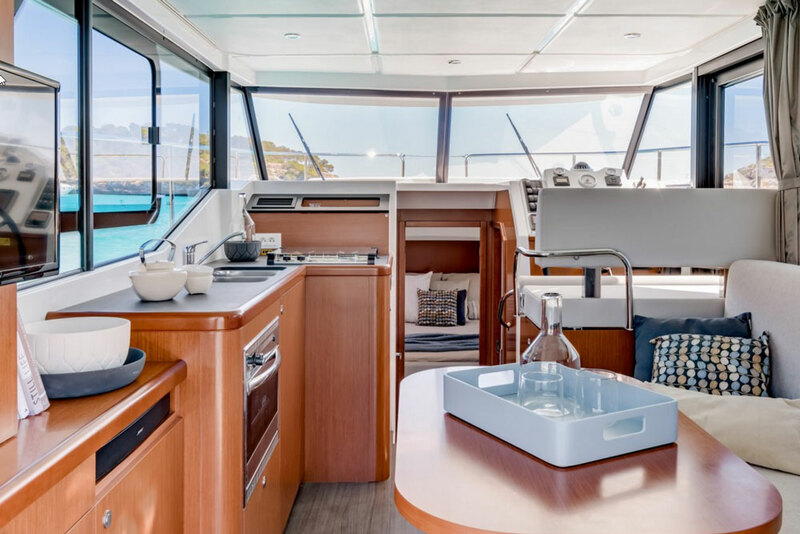 Twin sinks and a Vitrifrigo under-counter refrigerator are standard on the Swift 30; though the galley and saloon are compact, they’re functional as well. Situated forward of the saloon to starboard, the lower helm has two nice features. First is the side door that leads directly onto the starboard side deck and right to the hull door described earlier. The driver can back into a slip, step out and then onto the dock, tying up when flying solo. The second interesting item is a step that drops down from the helm console. It’s designed to elevate short skippers to increase visibility when driving. The double helm seat has a flip-up bolster for back support. The vertical destroyer wheel is also reminiscent of sailboats and underscores that this is indeed a trawler. Our test boat had a 9” Raymarine eSeries MFD at the lower helm, which is a bit odd since the upper helm had the larger screen. Controls for the Quick bow and stern thruster controls, engine throttle, rudder angle indicator, and Lenco electric trim tabs were also close at hand. Active use of the tabs will be necessary, as this boat does have quite a bit of bow rise when coming up on plane. Wait, this trawler planes? Patience, we’ll get there. Three steps down from the main deck are the stateroom and head. The master is in the bow with a double door that splits down the middle. Despite being smaller, the 30 actually has a more elegant stateroom than her 34-foot sister. A large center island bed has small steps on either side to help you get in and light floods the cabin from the overhead opening hatch and fixed hull windows with inset opening ports. You can see out while on the berth, which will save midnight trips up to the deck to check position in the anchorage. Headroom is 6’5” so the stateroom feels large, but there’s not much stowage capacity so cruising couples will have to pack light. The head is split with the electric toilet and sink to starboard and a very large shower compartment to port. The finish on our boat was a mahogany-colored Alpi wood that looks bright in all the light coming in through the saloon windows. Ventilation is good as air is brought in from the opening portside window, the helm door to starboard, and the cockpit door aft. We tested the boat on the flat waters of San Diego Bay in a breeze of 10 to 12 knots. After creating some waves with our own boat wake I felt the boat roll a bit, but not dramatically. With two people aboard we reached a maximum speed of 21.6 knots at 3500 RPM, where we were making one nautical mile per gallon. She will come up to plane in nine seconds around 12 knots and settles into the one mile per gallon slot at around 2600 RPM. The engine room is accessed via a hatch in the saloon sole and there’s plenty of room to work around the single 370 HP Volvo-Penta D6 straight-shaft diesel inboard. The optional 7.5 kW genset will save hours on the engine when charging batteries, making her fairly self-sufficient for days on anchor. Rumor has it that Beneteau will soon be building this baby of the family in their Marion, South Carolina facility, so freight and lead times may decrease. Although the base is $275,000, a well-equipped version will go for $350,000 or more. That means that after purchasing and outfitting this pocket trawler, you’ll still have money left in your pocket to hop the coast just about anywhere. Other Choices: The Ranger Tugs R31 is another pocket trawler with surprising capabilities for its size. 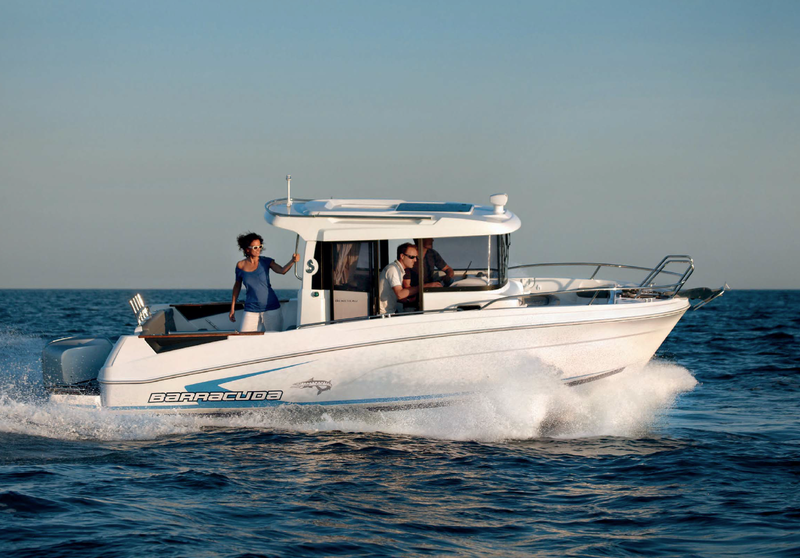 If you want to add a bit more speed without completely giving up on cruisability and interior volume, look at the Cutwater 30. 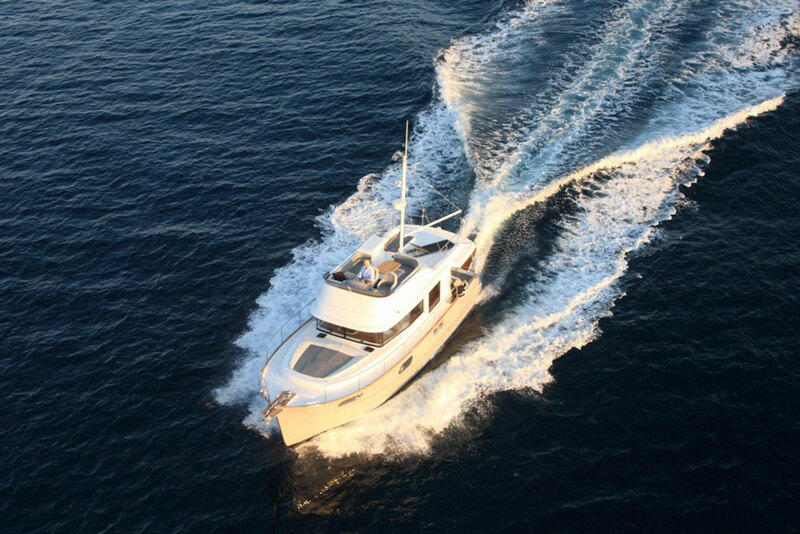 For more information, visit Beneteau.